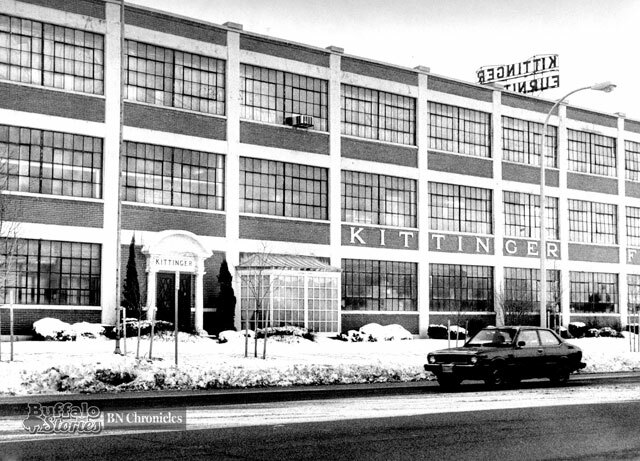 Kittinger Furniture was a Buffalo institution — and a family institution — for a century. From 1866 to 1966, the Kittinger family ran the business which created handcrafted, world-renowned pieces which wound up famously in places like the White House. 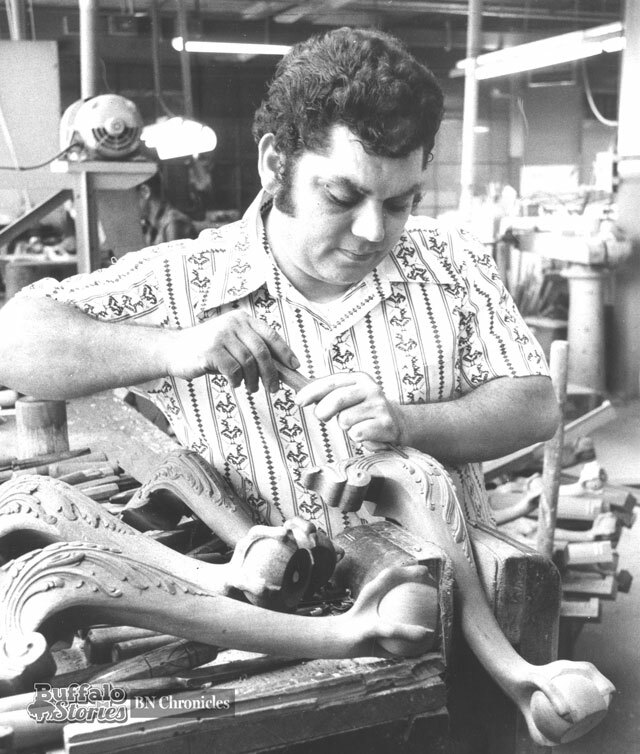 Even after the family sold the company in 1966, the Elmwood Avenue factory continued to turn out handmade furnishings. 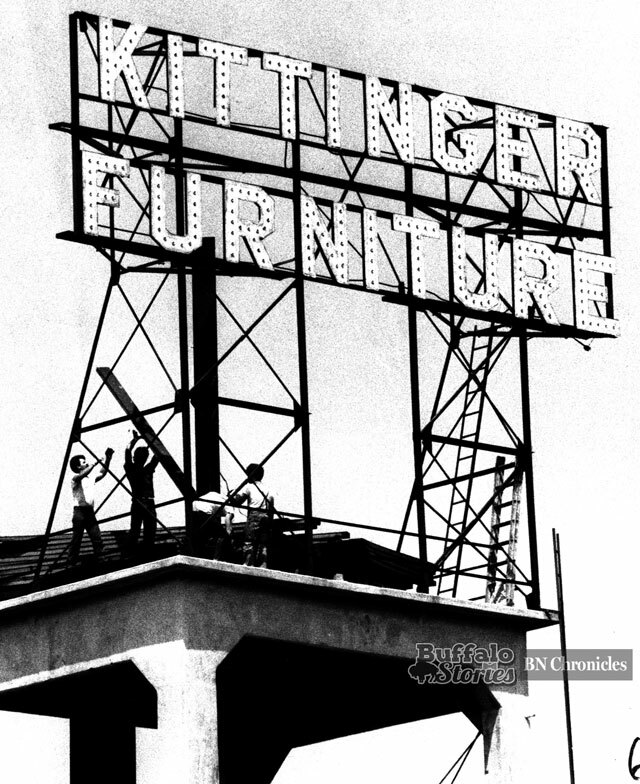 The towering sign erected high above the immense 193,000 square foot factory was a North Buffalo landmark just north of Elmwood and Hertel for generations. The company changed hands several times through the ’80s and ’90s, and in 1995, the factory closed as Kittinger filed for bankruptcy. Former Kittinger employee Ray Bialkowski eventually bought the name and continued the tradition of artisans creating fine tables, chairs, desks and other furnishings — but doing so on a smaller scale, he didn’t need so much space. After buying the North Buffalo building in 1998 for $600,000, Benderson Development razed the factory in 2000. In the years since, a bank and a gym were built in its place.